Researchers at Adelphi, who found that 21 right-wing populist parties across Europe either overtly deny or cast doubt on scientific agreement that human activity is behind global warming. The analysis, published Tuesday by the Berlin-based policy researcher, underscores the challenge climate advocates face entering European Union elections in May, which could challenge the durability of the bloc’s goals amid broad social and economic uncertainty. 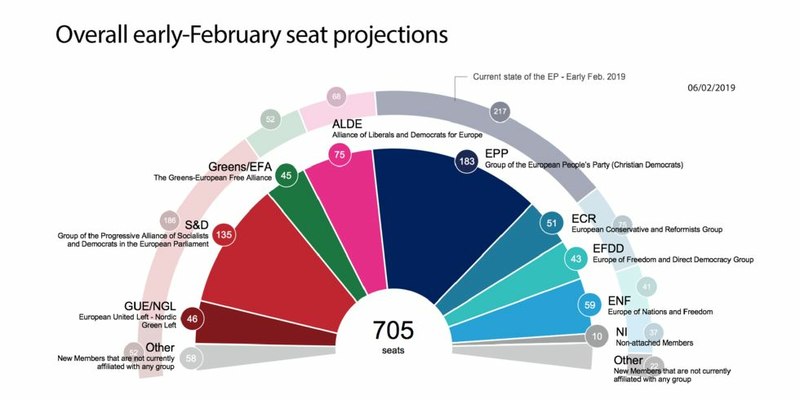 Support for right-wing populists looks set to surge in May’s European elections, with parties like Italy’s Northern League and Poland’s Law and Justice likely to gain seats at the expense of established parties. As the majority of right-wing populists line up against EU climate and energy proposals, political barriers against climate policies will likely grow, the report found. The percentage of European members of parliament voting in favor of climate and renewable energy policies will probably shrink further after elections in May. Those were the conclusions of environmental-policy researchers at Adelphi, who found that 21 right-wing populist parties across Europe either overtly deny or cast doubt on scientific agreement that human activity is behind global warming. The analysis, published Tuesday by the Berlin-based policy researcher, underscores the challenge climate advocates face entering European Union elections in May, which could challenge the durability of the bloc’s goals amid broad social and economic uncertainty. The European Parliament has a key role in shaping climate rules in the EU. Together with member states, it has the power to approve or reject legislation proposed by the European Commission. The final composition of EU laws is negotiated between those three institutions. There are already signs that the right-wing wave has blunted attempts to introduce environmentally-friendly policies, with Germany’s coal commission delaying the country’s exit from burning the dirtiest fossil fuel. That’s in part due to concerns about job losses in the Lausitz region of Saxony, where the AfD is catching up to more established parties ahead of September elections. The researchers found the AfD and the United Kingdom Independence Party were the most active in objecting to environment legislation, with climate change denial “a key feature” of both parties’ profiles. Only two right-wing parties explicitly support the consensus on climate change — Hungary’s Fidesz and the extreme-right Latvian National Alliance.